In addition to interesting information on the life and personality of the deceased it is also trying to bring their mathematical work to the layman by means of life-like examples. For example, “rigidity” is explained by the example of the Platonic solids, which can not be deformed (without losing their regularity) and of which there are therefore only five and not an infinite number of them. In common usage, rigidity connotes inflexibility, usually negatively. Diamonds, however, owe their strength to the rigidity of their molecular structure. Controlled rigidity – that is, flexing. Dr. Ratner and Dr. Mirzakhani were experts in this more subtle form of rigidity. They worked to characterize shapes by motions of space. The latter is illustrated by the example of the “snowflake” (Koch curve), which is invariant under certain similarity maps, and the reader learns that the work of Ratner and Mirzakhani is about shapes in higher-dimensional spaces, which are invariant under more complicated self-mappings. More than a century ago, physicists trying to describe the process of diffusion imagined an infinite forest of regularly spaced identical and rectangular trees. 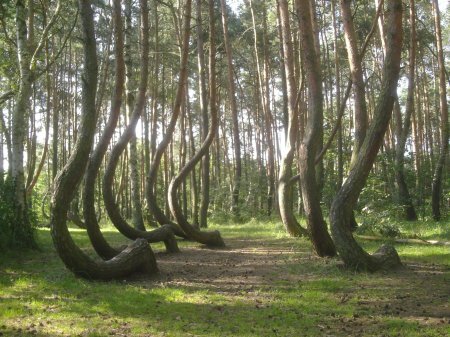 The wind blows through this bizarre forest, bouncing off the trees as lightless off a mirror. Dr. Mirzakhani and Dr. Eskin did not themselves explore the wind-tree model, but other mathematicians used their magic wand theorem to prove that a broad universality exists in these forests: Once the number of sides to each tree is fixed, the wind will explore the forest at the same fundamental rate, regardless of the actual shape of the tree. Unfortunately, the article does not reveal more detailed information about these studies. Does one of the readers have an idea on which physical research these two paragraphs could relate to?